The US State Department has cancelled the planned auction of one of the many aircraft that formerly served as Air Force One. The sale was due to go ahead on May 30, though the US State Department cancelled without reason just hours before the plane was due to the cross the block. Bidding for the plane was expected to start at $50,000, with the DC9-32 jetliner having carried first ladies and cabinet secretaries as well as presidents, despite being one of the smaller planes in the fleet. 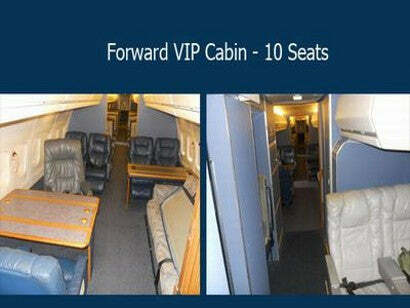 It was used throughout the Ford, Carter, Reagan, Bush, Clinton and Bush administrations, and flew Bill Clinton to Buffalo in 1999, as well as taking George Bush on a secret trip to Baghdad in 2006. Today, Barack Obama uses a larger Boeing 747, but smaller planes are still needed to land on some of America's smaller runways. 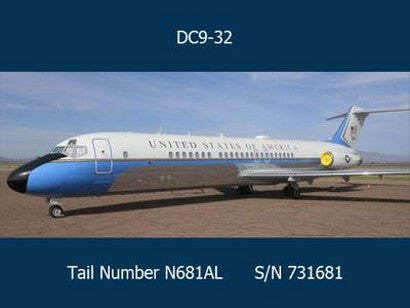 The plane is still adorned with "United States of America" lettering across its fuselage, though sadly, the presidential seals has been removed. It is currently housed in the Phoenix-Mesa Gateway Airport in Arizona. Those looking to bid in the auction may have been left disappointed, but you can still buy a superb range of presidential memorabilia with Paul Fraser Collectibles.